For this week's Flashback Friday, we take a peek at our 2017 event Jonah's March Mardness. 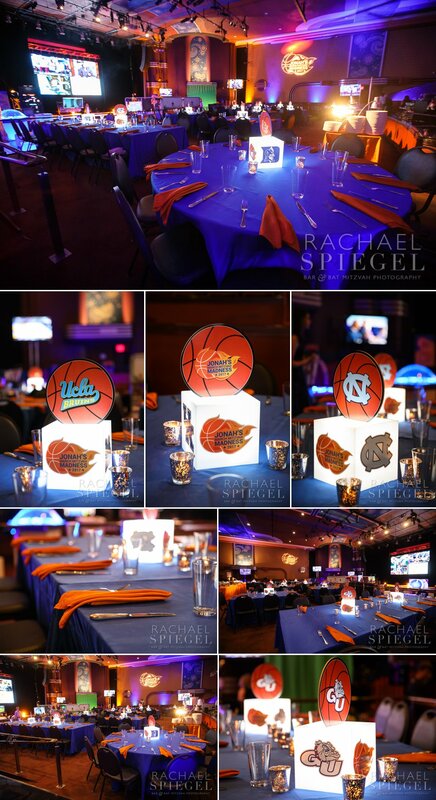 We transformed the Bethesda Blues and Jazz club into a kid's (and Dad's) dream, a room full of arcade and sporting fun along with live feeds of the NCAA tournament featured on a huge video wall and on TV's set all around the party. This celebration was non stop action. Halftime featured a live act performed in front of the entire crowd all seated in the stadium.